Women and girls in sport should be valued and treated equally to men and boys, including representation and influence over decision-making. Women deserve to be recognised and supported as athletes, referees, and coaches and to have their stories shared and successes championed. Laura is a social impact entrepreneur whose experience includes founding two companies (Ida Sports and Brunswick Aces) and another NGO in addition to EPF (the Lightyear Foundation, focused on science education in Ghana). Laura has also worked as a senior policy advisor for the UK Department of Business, Innovation and Skills, and further worked in sport event management for the London Olympics, the Street Child World Cup (Brazil), and the European Games in Baku. Erin has spent the past 12 years working in international conflict and development for a range of international and local NGOs, think-tanks, and the private sector – designing, implementing and managing programmes centred on conflict, security and development. She currently works in the Middle East advising humanitarians on security and access for Syria and Iraq. Erin was a three-sport elite athlete (swimming, Olympic Modern pentathlon, and football) – playing professionally for West Ham and Crystal Palace FCs, as well as competitively in Saudi Arabia, Scandinavia, the US, China, Afghanistan and Jordan. Maggie works on advocacy and policy on global anti-corruption and human rights issues. The new Director of Public Policy and Sport Integrity at Sport Integrity Global Alliance, she had previously spent six years working with Transparency International as the Senior Global Advocacy Manager, and two years Minority Rights Group International and HelpAge International as a human rights advocate. 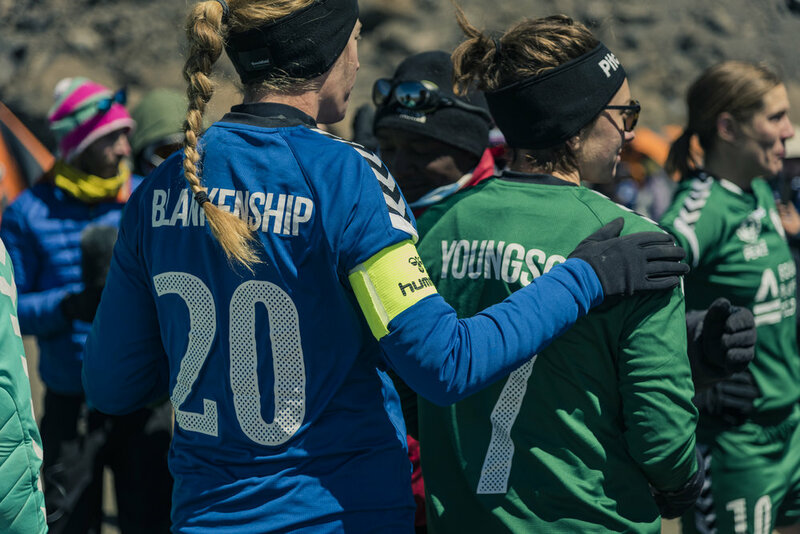 Maggie has been playing adult competitive football since she was thirteen, and aside from playing for UK-based clubs and captaining Oxford University, she has set-up, coached or played for teams in Tanzania, Rwanda, Guadeloupe, the Netherlands and Germany. without the help of our many partners.